Real Estate investments in the Electronic City, Bangalore! Spread over an area of 332 acres Electronic City has incorporates offices for all major IT companies in India. The region offers best quality residential and commercial property. These suburbs are very popular among home buyers for their proximity with several major working spaces and relative affordability compared to the other parts of central city. Bangalore Metro Railway better known as Namma Metro Network along with a wide web of roadways and elevated expressways serves the area efficiently and connects it to the rest of the city. Regions like the Hosur Road, Neeldri Road and Thogur are coming up with a host of quality residential developments by well-recognised developers. These apartments have average land rates of around Rs. 6000 per square yard.A home lover can buy a villa in these regions in Rs. 1-2 crores. The housing complex planned in the area usually come along with luxurious amenities such as a large swimming pool, gymnasium, clubhouse and power backup facilities. Electronic City offers investors with options to buy commercial use land or plots, residential apartments and villas. The investments made in the area are bound to yield. The region has a well-established social infrastructure that abodes more than few schools, offices, hospitals, etc. And, the commercial and infrastructural developments are going to further strengthen in coming years. The returns on investment in the area can yield great profits within months. The Electronic City is the major part of what makes Bangalore the Silicon Valley of India. Located in Anekal Taluk of Bangalore, E - City is an IT dominated area that is a part of major software export happening all over India.It abodes more than 300 IT companies and several other places of commercial importance. The region boasts of a well-developed social infrastructure and a well-established connectivity with other localities of Bangalore. A large number of BMTC buses serve the locality. Namma Metro Project Phase II is set to further improve the connectivity of the region in coming years. The area is connected to the railway network from the Heelalige Railway Station and Car melaram Railway Station. The Bangalore City Railway Station is only 24 km from the E - City. The major connecting routes in the region are Silk Board Junction in Madiwala, NICE Road and Bannerghatta Road. The region also incorporates several prominent educational institutes, multi-speciality hospitals, religious places,hotels, restaurants, bars, theatres and parks. The area satisfies every type of shopping needs with options that include hypermarket, supermarkets, shopping complexes, and general stores. With so many major workplaces in its vicinity the area has witnessed significant rise in the demands for residential properties over the years. The realty market of the region has great options for affordable mid-income housings as well as for the premium housing segments. The price appreciations have been significant in past and are estimated to grow further in future. 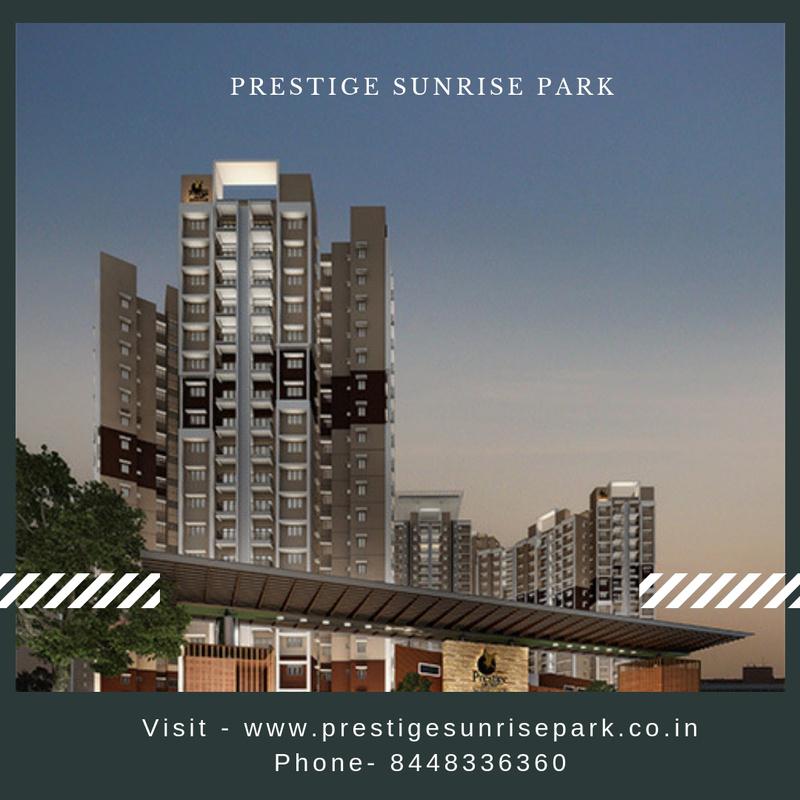 Well-known real-estate developers Prestige Estates Projects Limited has announced a premium housing complex in Electronic City Phase I of Bangalore. 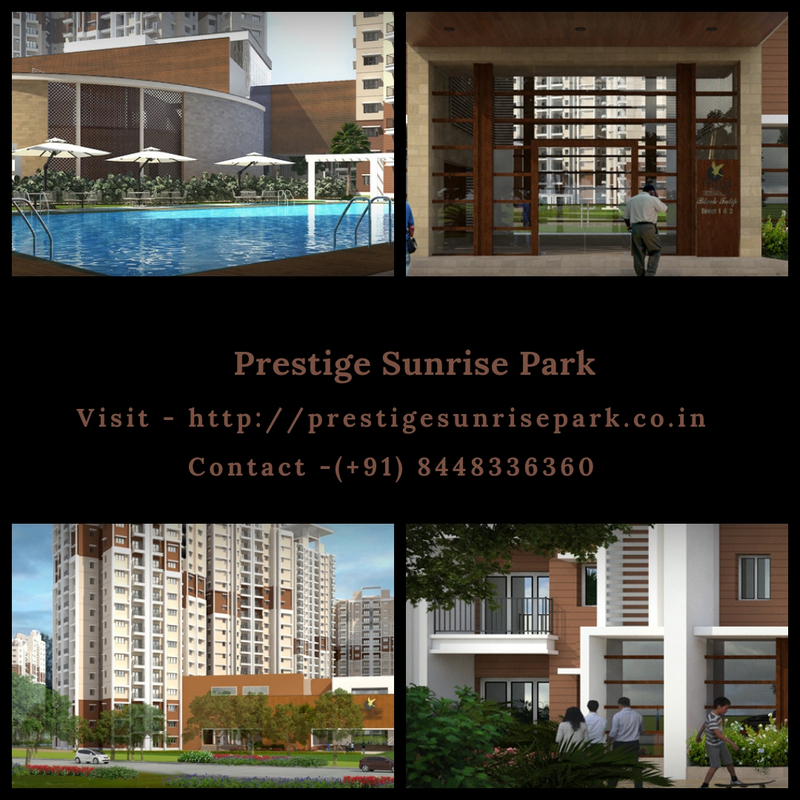 The project named Prestige Sunrise Park spreads over 25 acres of prime land with lush natural greenery. The venture offers two blocks namely Norwood and Birchwood on its grounds. The two blocks comprise of a total 15 residential towers. The project is offering 1.5, 2.5 and 3 BHK apartments in elegant configurations. The area covered by these apartments range from 1007 sq.ft. to 1615 sq.ft. and cost in the range of Rs. 50.85 lakhs to Rs. 83.17 lakhs. The amenities offered in the complex include, clubhouse, swimming pool, gymnasium, mini theatre and more.